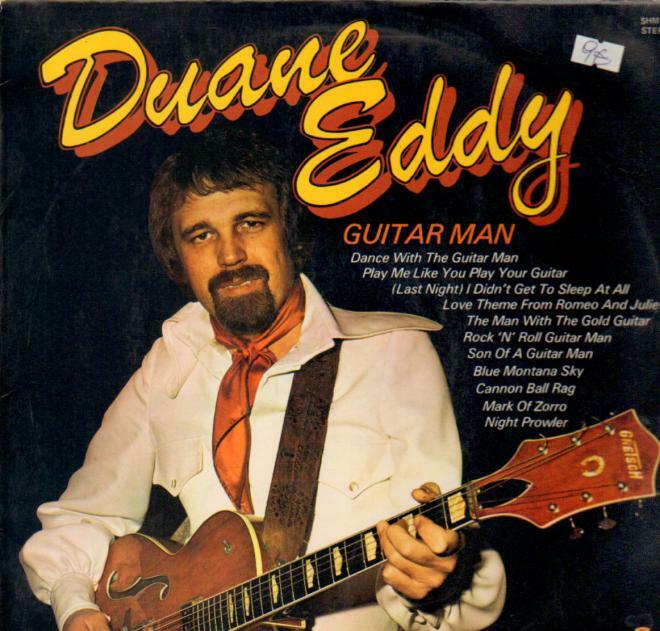 Duane Eddy (born April 26, 1938) is a Grammy Award-winning American guitarist. In the late 1950s and early 1960s he had a string of hit records, produced by Lee Hazlewood, which were noted for their characteristically "twangy" sound, including "Rebel Rouser", "Peter Gunn", and "Because They're Young". He had sold 12 million records by 1963.He was inducted into the Rock and Roll Hall of Fame in 1994, and the Musicians Hall of Fame and Museum in 2008.